Yesterday, Nick, Sarah, and I set off on yet another adventure. 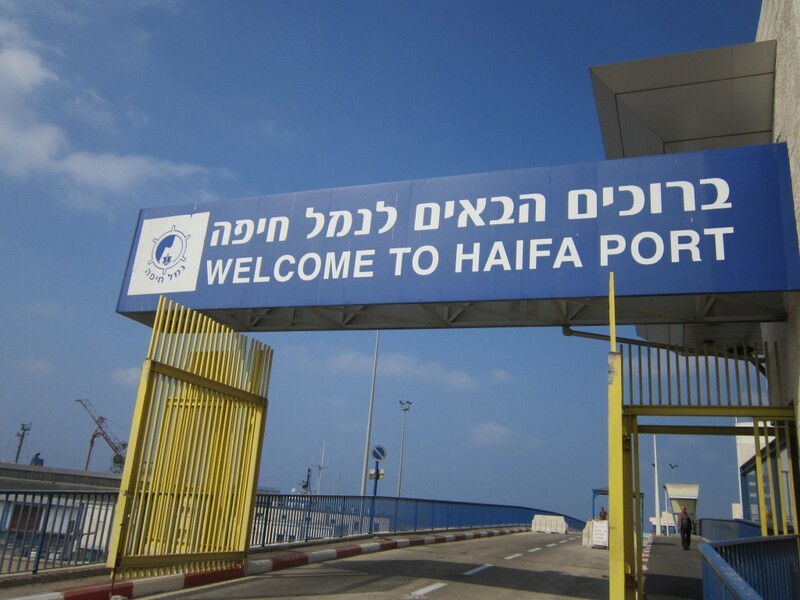 This time, we went to that infamous port city known as Haifa. This trip wasn’t exactly the most well-planned out. First, Sarah got sick and had to leave early. Then, Nick and I ran into some trouble getting to the Baha’i Gardens. There was no direct route from the base to the summit, so we took a bus to try to reach the top but we got off too soon on the first bus and completely missed the stop on the second bus (which took us near Akko somehow). 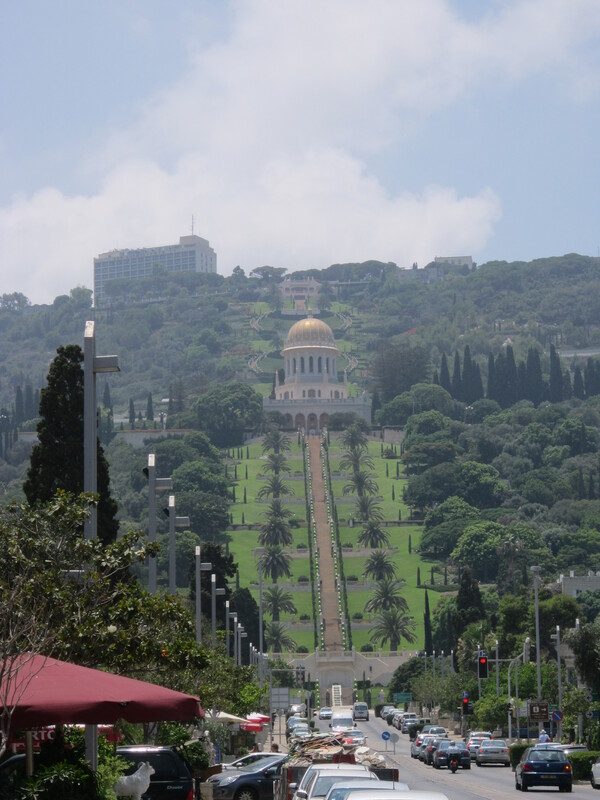 Nevertheless, the accidental bus tour of Haifa was completely worth it because we got to see so much of the city and its intriguing sites (like the Grand Canyon Mall). 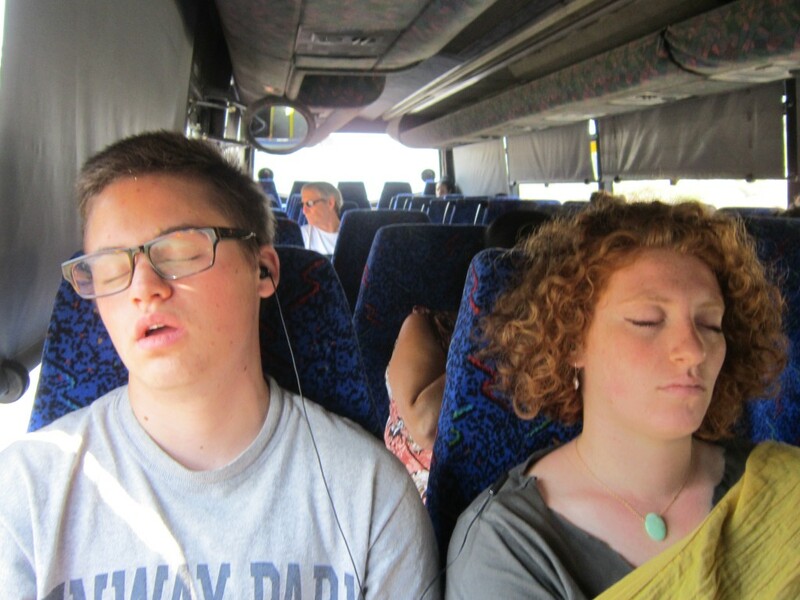 Two big sleepyheads on the way to Haifa. By the time we found our way back downtown, all the museums we had planned on visiting were closed. So, we walked around looking for something to do. We tried to find Old Haifa, but it was really just a ruin or two across the street from a clothing store or coffee shop and not something epic-looking like Jerusalem’s Old City. One of the highlights of our trip (and probably the only successfully carried out plan) was an amazing sushi lunch at a seafood restaurant. Around dinner time, Nick and I decided to head back home via bus. On the road, we were greeted with a spectacular view of the sunset over the Mediterranean and the rolling hills of Israel’s countryside. It is significantly more hot and humid than Tel Aviv. So remember to drown your throat in water when you get there. The fashion is much different than central Israel, which surprised me. Women’s clothing is much more likely to drape around the body as opposed to clinging to it. Blouses, pants, and dresses are more billow and less form-fitting. The juniors’ section is less revealing in comparison to that in Jerusalem and Tel Aviv. Earth tones, neutrals, and pastels are also more common than bright colors. There seemed to be significantly less Arabs in Haifa than in Jerusalem. People of African descent seem to be on par with the demographic equivalent in Jerusalem. Also, although I spotted a few, there were significantly less ultra-orthodox individuals. Russian speakers are everywhere in Haifa; you can’t escape it. IDF soldiers seemed to be everywhere, but this might have been because they were going home for Shabbat. Overall, I would say that the trip was a success. Why? Because the joy of life comes from our encounters with new experiences. I love going new places and seeing/trying new things. The world is my coloring book and I am not afraid of drawing outside the lines. 6 comments to Hello, Haifa! Is that a ram in the last picture? Yup! It just goes to show that Israel is full of ramdom surprises.